New SUN Corey Ellis has suffered an injury blow in the NEAFL with the defender expected to miss 4-6 weeks with an ankle injury. Gold Coast’s Head Physiotherapist Lindsay Bull told the Alpha Sport Injury Update it was disappointing news for Ellis who had just overcome a groin complaint which saw him miss a chunk of the pre-season. “Corey got his ankle caught under an opposition player in the NEAFL practice game on Sunday,” Bull said. After being a late withdrawal from the Round 2 match against Fremantle at Metricon Stadium, George Horlin-Smith will be a test for this week as he manages an issue with his back. “Unfortunately George had an aggravation of his lower back on Sunday morning,” Bull said. Jez McLennan was another casualty in the NEAFL practice match, hyper-extending his knee in a tackle attempt. Bull said the first-year defender was taken off the ground but isn’t expected to spend much time on the sidelines. “He was taken off as a precaution and we found that there’s just some bone bruising within the knee at this stage,” Bull said. 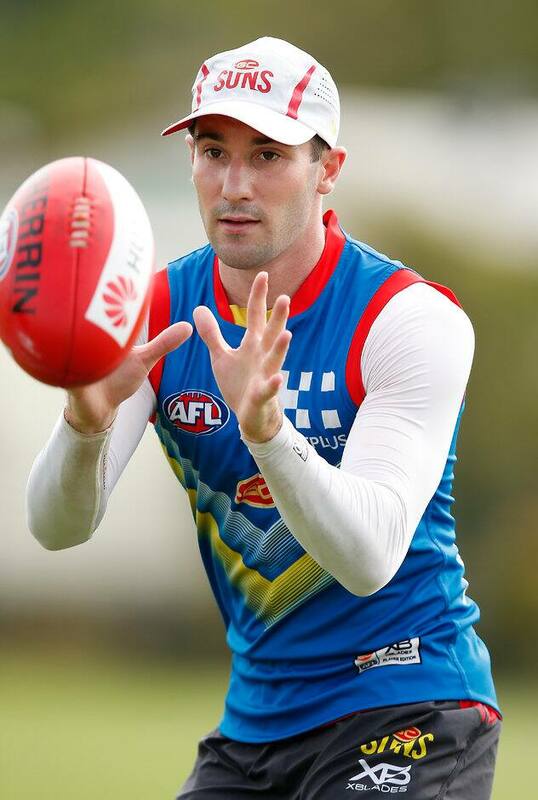 In positive news, forward recruit Josh Corbett is expected to return to the field in the next two weeks after a knee injury hampered his start to the season. “Josh has been training really well,” Bull said.